It’s more than just a clean desk. As many Black Belts will tell you, it’s not just about cleaning up and clearing away, it’s about peace of mind, ease of work, and a sense of confidence. 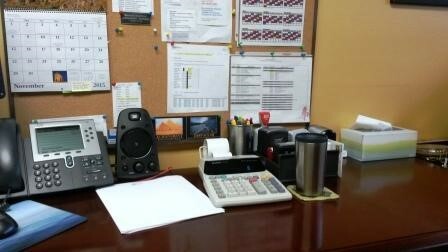 Organizing your desk (or a 6S) of a work space can make a huge difference for daily work. Laura Mathis, from the Denver Fire Department, is a shining example of using this seemingly simple tool to make a big impact at work. If you are thinking about completing a 6S organization of a personal or shared space, Laura’s A3 is a great example on how to document the process. Why: My cluttered and disorganized desk causes me to waste time searching for items I need and sorting through items I don’t. If my important documents and tools are handy, then I can save time finding what I need. Gap Analysis – Difficulties in getting to a clean, organized work space include: finding the time to organize and feeling a bit overwhelmed with the process. I also had a hard time letting go of assumptions and paperwork I’ve been keeping unnecessarily. Results – Not only do I save time not having to sort through documents, I’m quickly able to locate what I need. There is also an improved sense of well-being, as a cluttered space creates tension for me. I feel a sense of calm and peace by having an organized office. 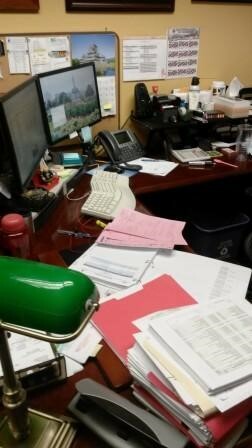 Lessons Learned – For me, I am more productive and feel better if I have an organized desk and work space. Less items get lost, and I know exactly where and what I need to work on. The time that it took me to organize my space paid off in multiples, as I saved 10x that amount of time in not having to sort and search for what I need. Chaos begets chaos. Organizing your desk can seem simple, but the reward for some time upfront will pay off each day. You will be able to help others find what they need when you are away and help yourself do your best work in the new year!